Warning: Spoilers for Arrow Episode 18, “Eleven-Fifty-Nine.” Do not read on if you still want to catch up on the show. The CW’s Arrow delivered a blow to fans on Wednesday night when the show killed off a well-loved and long-standing character from the series by the end of the hour. And, while we’re all wondering how the murder of Laurel Lance/Black Canary will impact Arrow in the future, there is one other show to consider in all this: Legends of Tomorrow. Laurel’s sister Sara is currently tripping through time to stop an immortal madman on that series, and it makes sense for her to find out about Laurel somehow. 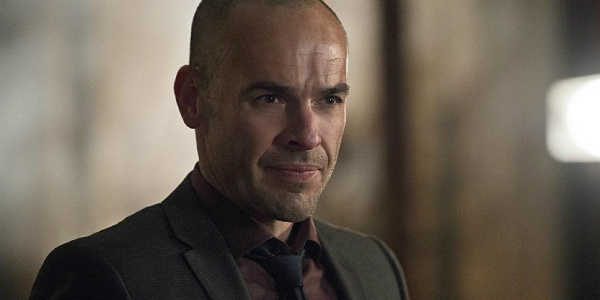 Well, it turns out that Sara and Laurel’s dad, Quentin, will likely deliver the news, as his portrayer, Paul Blackthorne will be making an appearance on Legends of Tomorrow. Sara will find out what happened with Laurel. Paul was very gracious to lend his time to Legends to really allow us to explore that. I feel like we give it its due. Marc Guggenheim talked to TVLine about the repercussions of Laurel’s death, and made it clear that time traveler Sara Lance (a.k.a. White Canary) will not be spared the fresh grief of finding out that her sister has been murdered recently. And, seeing as how their father will be showing up on Legends of Tomorrow, this probably means that he will tell Sara himself. I feel like the biggest question in this whole thing will end up being how Quentin is able to tell Sara. As of Thursday night’s episode of Legends of Tomorrow, Sara and the team she traverses time with were in 2147. Even with the time travel that’s commonplace on the show, there’s very little chance that Quentin will somehow be transported to the future time and place where his daughter is, especially since there’s no reason for anyone to think it’s necessary to go and get him. So, the most likely explanation is that the legends travel back to 2016 to check up on family and friends, only for Sara to visit dear old dad and find out what happened while she was off adventuring. Marc Guggenheim is certainly right that the story of Laurel’s death wouldn’t be complete without her sister Sara finding out, and relatively soon after the event. Sara and Laurel have had a strained relationship in the past; Sara actually cheated with Laurel’s boyfriend Oliver back in the day, and Sara’s apparent death is the only thing that helped Laurel get over that betrayal. When Sara finally showed up again, as a very different person, the sisters were able to make peace with one another. Well, it’s good to know that Legends of Tomorrow will allow Sara to know about Laurel’s death. And, considering the character’s occasional blood lust, I can only assume that the anger it will cause will be taken out on many a bad guy in the biggest ways possible, probably through Season 2. Want more CinemaBlend? Try our brief trivia game below!